Whose life is more valuable? Mayor-President Kip Holden or witnesses to violent crime in our parish? Sounds like an ignorant question, but it is a valid one. Records released last year showed that three bodyguards making between $42k and $68k each worked for Holden. This means your tax dollars will pay between $336,000 and $544,000 over an eight year period while Kip Holden serves as Mayor. Holden is currently serving his second term in office. Holden also is chauffered in a Lincoln Town Car that costs taxpayers $642 per month according to public records. That equates to $61,632 for 8 years. Can’t you buy a car for that leased price for less? Don’t get me started on the extravagant spending that comes out of his office. It is a slap in the face to taxpayers of our parish. See how quick it is to find $600,000 in budget cuts? This is not rocket science folks, and it doesn’t take a CPA to figure it out! On the other hand, East Baton Rouge voters were recently told there is not enough money in the coffers to protect witnesses of violent crimes in our parish. Newly elected District Attorney, Hillar Moore, found out he is fighting an uphill battle for funding to protect witnesses. If there is a way out of this mess, I know Moore will find it. He has my vote of confidence. You see, in order for us to clean up crime in our parish, we must ask the hard questions of ourselves. I have heard consistently from Chief Jeff Leduff that he does not have the resources to protect witnesses. Recently, Sheriff Sid Gautreaux touted the problem with witnesses not coming forward. And they wonder why? Just two weeks ago, another witness to a violent murder in our city was killed. I wrote about this in great detail in the story, 5 Related Murders in EBRP. The Mayor waited until AFTER we had one of the bloodiest months and highest incidences of violent crime in our parish to finally go on TV and say enough is enough. We have to pull the funds from ridiculous expenditures and spend the money where it is needed. “Building new jails is not the answer” as told to us by former candidate for EBR Sheriff Dalton Honore’. Let’s dig deeper than talking about taxes to build new prisons. We must drive much further into neighborhoods than talking on the news. So, back to the valid question of the day for Red Stick citizens: Whose life is more valuable? No, I don’t like the headline, but the truth hurts. It’s time for the Red Stick to call a ‘Come to Jesus Meeting’ regarding violent crime. Denying that crime statistics are accurate is nothing more than ignoring the facts. This list is generated directly from the BR Police Department and the EBR Sheriff’s Office as provided to The Advocate. These crimes do NOT reflect all crimes in the month of June, only those printed in the newspaper. I find it extremely offensive when officials try to convince us that the national crime statistics are not accurate. All you need to do is read the daily newspaper or watch the local nightly news, and you will know that we have a violent crime issue in the Red Stick. This does not scratch the surface of crime in our parish, as it does not have ONE drug incident listed – only TWO incidents listed mention domestic violence – only ONE crime listed mentions a juvenile. It does not include all the 911 calls made daily regarding suspicious activities, disputes, the vast majority of home invasions, or car thefts. The newspaper doesn’t have enough allotted space to cover all criminal incidents in the parish. Violent crime is defined by the use of violent force in the commission of a crime or threatening to use violent force. That’s a broad definition. Do you have to walk in on a burglar and see a weapon to consider it a violent crime? Do domestic violence situations where one party threatens to violently harm the other party fall under violent crime? I believe it does. Where do we go from here to curb violent crime in the Red Stick? We talk about education and economic development as the linchpins for “the next great city” – our future. Violent crime is a socio-economic issue. The lack of education in partnerships between our churches, schools, neighborhoods, businesses, families and law enforcement is a major key to the answer. Some of the key issues we must address include: illegal drugs in our neighborhoods, easy access to prescription drugs in our homes, juvenile behavior that goes without proper punishment, a justice system that is too forgiving of violent offenders, corruption in political office that is accepted, turning a blind eye when witnessing a crime or injustice in our streets. I always find it curious when the media attacks one politician but gives another politician a free pass. It is so glaringly obvious. Governor Bobby Jindal has been highly scutinized by the media for appointments to Louisiana Boards & Commissions, for each expenditure, and for records not made public. On the other hand, the media appears to turn a blind eye to other politician’s hiring practices, oversight of unruly employees or ‘secret’ decisions and expenditures. As we speak, the media frenzy across our state is viewing Jindal’s practices with a microscope. All the while, other politicians are carefully working behind the scenes like baseball players stealing bases knowing the media has allowed their eye to stray from homeplate. For instance, what if a politician that was elected just over a year ago had purchased expensive furniture for his office, moved to another location, lost his second in command due to a coup-de-gras gone bad, hired one of his largest contributor’s wives in a key position, lost several key employees due to alleged criminal activity, and didn’t even show up on most days until late afternoon? Should this elected official’s disregard for ethics, taxpayer money and unacceptable activities go without scrutiny? What if he was supposed to be the standard for upholding the law in our parish? Why do we hold one politician’s feet to the fire, and not others? How are some politician’s campaign promises important enough for daily fodder on the front page, but other politician’s false promises ignored by the media? Do we really believe our ethics are in question because we ‘need to know’ every move our Governor makes in order to prove we are ethical? Are we really that concerned about every expenditure? If so, then let’s play fair, and scrutinize every politician, not just those who sell newspapers. I was a bit humored at the recent Tea Party at the State Capitol, when guards began hauling bottled water out to the crowds. Water funded by taxpayers. No one asked for the water, but it was freely given. Of course, the employees didn’t pay for it, the taxpayers did. Another humorous incident was in Sunday’s newspaper when it was casually mentioned that all women in the Senate and House received bromalaid plants and roses respectively. A nice gesture for Mother’s Day, but was it at the taxpayer’s expense? Yes, these are small examples. Does the phrase ‘tip of the iceberg’ mean anything to you? At what point does the media decide for us, the taxpayers, what is ethical or acceptable? Are we really concerned about state and city government in it’s entirety? What I have been witnessing is the ultimate form of prejudice and discrimination. They have proven the argument that it depends upon the politician and the personal views of media and pundits as to who is criticized or who is given the ‘get out of jail card’. Our ‘champions for ethics’ beg the question. The Sheriff is the most powerful law enforcement officer in any given parish. Over the past few weeks, several Sheriffs in Louisiana have been investigated by the Louisiana Board of Ethics for ethics violations. According to The Advocate, Lafourche Parish Sheriff Craig Webre was funneling business from the Sheriff’s Office to a business he owned. Grant Parish Sheriff Pop Hataway is charged with using his influence to allow detainees to be released without required bond fees and under reduced bonds. Given the world of technology and citizens who thrive as armchair detectives and watchdogs, it is a major mistake to misuse the power of a Sheriff’s Office. Apparently, the Sheriff of East Baton Rouge Parish, Sid Gautreaux, is about to come under fire for potential ethics violations. What are these guys thinking? They are supposed to follow the law, not break the law. There is no doubt that our Sheriff is the top law enforcement officer. The responsibility of this position is huge. He oversees more than 850 employees and a budget of more than $65 million. It is the responsibility of voters to ensure that he properly administers and directs personnel by setting an example. Looking back to last year, the Baton Rouge Business Report broke the news that Sheriff Sid Gautreaux spent over $43,000 on a personal vehicle. The ‘bling’on Gautreaux’s fine ride included a chrome package, sun roof, heated seats, Bose sound system, navigation system, rear view camera back-up, and DVD televisions front and rear. Response from the Sheriff’s spokesperson was this was ‘an appropriate accommodation for the Sheriff’. (Red Stick Police Chief Jeff Leduff drives a police cruiser.) His entourage of top people enjoyed the same type of vehicles along with other ‘hand picked’ personnel in the sheriff’s office. Last fall Mayor Kip Holden told the voters we needed to pass a tax/bond issue; a key component of that issue was to build a new administration building that would house the Sheriff of EBRP. A couple days ago, I heard that Sheriff Gautreaux already moved to Harding Boulevard offices where Mayor Holden’s Office of Homeland Security and Emergency Preparedness are housed. Tell me why we need that tax again? Former Sheriff Greg Phares exposed Gautreaux for being absent as Police Chief of Baker. It is my understanding that Gautreaux is repeating this character trait as Sheriff of East Baton Rouge Parish. We expect leaders to be present, not serving as absentee landlords. When we elected Gautreaux, he made some hefty promises to the voters including cutting a top-heavy bureaucracy, yet he has almost tripled the number of promotions than any previous administration. Gautreaux promised to put more deputies on the road; how many more do we have today? Once again, our media has not investigated or reported on this topic. Do we have more deputies actively patrolling the parish or not? How many? Gautreaux said that former Sheriff Greg Phares’ anti-terrorist boat was a misuse of money (even though Phares said it was paid for by a grant). Yet, recently the Sheriff took out an ad in The Advocate touting this same boat. Was this just political campaign talk, as usual? Since elected, Sheriff Sid Gautreaux has touted his accomplishments including Zachary and Pride substations. The Zachary station was actually opened by the former sheriff in 2007. We elected Gautreaux, with Mayor Kip Holden’s endorsement. We voted for change, for a leader that would maintain the integrity of the Sheriff’s office. Did we do the right thing? Pastor Dino Rizzo and the Healing Place took enormous heat for Rizzo’s personal support of candidate Lee Domingue. This is baffling given the history of church and pastoral involvement in politics in the Red Stick. It’s no secret that pastors and churches in the Red Stick have been actively involved in political races through the years. As one Baptist pastor said, “If you read the scriptures, Jesus was involved in the politics of Palestine”. Another pastor said, “There is a working relationship between pastors and politicians that’s often not talked about”. No truer words were spoken. For years, it has been common knowledge that the doors of churches in the Red Stick have flung open for political forums. These actions have often been followed by the support of pastors for particular candidates based on their faith and common beliefs in what is right for the community they pastor. Some names of churches that come to mind, that are easily verifiable through The Advocate archives, are Jefferson Baptist Church, Mt Pilgrim Baptist Church, New Gideon Baptist Church, Woodlawn Baptist Church, and Shiloh Missionary Baptist Church – all listed in past articles of The Advocate for their political involvement in the Red Stick. No one seemed to take issue with the barage of letters written for or against specific candidates by Pastor Tommy French. Neither has anyone criticized the list of black pastors that supported Mayor Kip Holden, including Reverand Raymond Jetson. Sheriff Sid Gautreaux was endorsed publicly by several pastors during his political race. None of these pastors or churches were criticized, even though the personal lifestyles of their candidates have been questioned sorely for lacking christian character. Faith-based organizations in the Red Stick have also hosted forums and wound up working ‘behind the scenes’ with specific candidates running for political office. WIN (Working Interfaith Network), and the Interfaith Federation of Baton Rouge, a 60-congregation membership of Christian and Jewish churches in the Red Stick, have been very active politically through writing letters, and inviting politicians to speak to their congregations. Flyers are often generated and passed out as members exit church on Sunday encouraging them to support candidates. Oops, maybe I shouldn’t have mentioned that? The Greater Baton Rouge Federation of Churches and Synagogues is well known as an active political machine in the Red Stick. Members of all of these organizations have donated hundreds of thousands of dollars to political candidates, though the organization itself is dissallowed by the IRS from making church contributions. They are many politically-savvy ministers – involved, in touch, and actively working with and for politicians and candidates. In fact, election day activities are often run out of church annexes with members being paid for hauling getting out the vote. To date, I have not seen any of these faith-based organizations, pastors or churches called out for these hands-on political activities. Yet, Dino Rizzo and Healing Place Church were targeted numerous times during the Senate District 16 race. The truth is, this is the ultimate discrimination by political pundits. It’s the politics of old we abhor. I do not know Dino Rizzo, but I have watched his service on TV numerous Sunday mornings. He is, obviously, a man of faith that is grounded in the word of God and has been active in the Red Stick community for over a decade. Why shouldn’t Rizzo stand behind someone he personally knows and believes in for political office? Why discriminate against one pastor, but turn your head when other men of God are deeply involved in Red Stick politics? Dino Rizzo and Healing Place Church has all the ‘gravitas’ they need in this community, and supporting someone he believes in, for political office, will not affect his standing in the Red Stick. His pearls of wisdom are needed and wanted in our community. That is, unless you consider yourself swine? There is a huge controversy brewing over the EFCA (Employee Free Choice Act) that is currently being pushed by President Barack Obama and the Democrat Party. The president says he wants to give employees an opportunity to bargain for their fair share of the wealth our country generates. One of the rubs is that employees now vote against unions – secretly. Once the EFCA is passed, all votes will be publicly known. This goes against the entire democratic process America prides itself on – your free choice in the voting booth – privately, securely, confidentially. I am not a fan of unions as shown in my previous blog Childhood Memories of Unions. My father was anti-union and our family paid the price generated by the fear, threats and intimidation of unions. Fortunately, Louisiana is now a Right to Work state which prevents employers from forcing workers to be union members for hiring purposes or maintaining their jobs. It protects employees. It should be a real concern to voters when candidates are supported by unions. In the Red Stick, we have had a plethora of union-supported officials including high-profile individuals like Mayor-President Kip Holden and Sheriff Sid Gautreaux. Their campaigns were highly funded with union contributions and both were endorsed by unions. Union-supported candidates are tax and spend liberals that push for collective bargaining which opens the door for unions to negotiate. Much to our dismay, Mayor-President Kip Holden has been a supporter of collective bargaining. Shortly after his initial election as Mayor, The Advocate cautioned voters in an editorial saying there needed to be more to the relationship between Holden and the police union than collective bargaining, labor contracts, union management issues and pay raises. That remains to be seen. If the EFCA passes, regardless of what democrats, President Obama or Mayor Holden wants us to believe, it will have a negative result. They want us to believe that unions are good and that it will help ‘share the wealth’ and create more middle class workers. The truth is that it will take away part of the American Dream for business owners by forcing businesses to allow unions to be formed. It will also contain a penalty for business owners that do not comply with the demands of their employees. What the heck? This is sounding more and more like a takeover by unions than ‘free choice’ as they tout. I have always had a problem with ‘stinking thinking’ that promotes one person believing they deserve something another person owns. It’s almost like a form of white collar crime. Employees will now be able to tell business owners exactly what they want and if the employer does not comply, they are fined. So much for the free enterprise system. As Ray Charles sang, “Here we go again…one more time”. Mayor Kip Holden has announced that he plans to present his tax increase in the form of a bond proposal…one more time on a fall ballot to the citizens of East Baton Rouge Parish. Holden’s approach will be to wrap higher taxes up with a nice red bow called “an economic stimulus plan”. The operative word is downtown. The only good news is that Holden said, “there will not be another study this government will fund”. Great! While we are in an economic recession, and president-elect Obama Barack plans to take the helms of the oval office on Tuesday, Holden has realized that there will be economic stimulus money up for grabs. The Mayor has requested $500 million for EBR Parish. These are the type of things that make me shake my head and say “interesting”. The reason this is ‘interesting’ is that just a couple months ago Holden was willing to make taxpayers pay for $100 million in tax increases through former shadow mayor Walter Monsour’s bond issue. Now that the plan was turned down by voters, suddenly there are other funds to be found. This is precisely what should have been done in the beginning. Before a bond issue for $100 million in tax increases was proposed, other options should have been researched. The most important question is: How much more money is there in potential cuts to the city parish budget? Trimming the fat is what every family in our parish is having to do with the current recession. Families are cooking at home more. Packing a lunch and working at your desk is now an option more people are considering. Lower gas prices have citizens smiling. Water cooler talk is about clipping coupons, carefully reviewing investments and where the latest sales are in the retail world. At what point will city-parish government realize that they must also cut the fat? You do not spend more money in a recession, you save, cut back and search for more affordable options. Holden’s office told Baton Rouge Business Report that the new proposed tax plan will include lower project costs. Really? Where these options available the first go round? I don’t think we are asking much when we expect muncipalities to give us their best foot forward. Not the second time around, but the first time around. Not because voters refused to pay higher taxes, but because it was the right thing to do. The first time. When I read these type of articles, it confirms that my first assessment was accurate. In Malcolm Gladwell’s book, Blink!, he talks about your initial instinct when you know that you know that you know something is or is not right. That is the instinct that led voters to turn down Holden’s mandate to pay more taxes last fall. It’s just good common sense! Besides, Holden’s ‘new’ plan, according to the Business Report, is about downtown. After speaking at the Downtown Development District board meeting, even The Advocate reported that Holden has bigger plans for downtown. Though you cannot be all things to all people, what about the rest of the parish? Don’t the citizens of our parish deserve strong bridges instead of emails that claim we have 38 unsafe bridges that will only be improved if we vote for a tax increase? Holding taxpayers hostage with threats of this type will not win a tax election. With all due respect, grants for new uniforms, logos and branding for the Sheriff’s office could have better served the public improving our infrastructure. Do we care what they wear as long as they are protecting and serving? Then again, that story is for another day since rumors have it that it was tied to a political promise. The bottom line is that we need the incoming Chief Administrative Officer, Mike Futrell, to delve deep into our city budget and make the necessary cuts. Futrell needs to cut the contracts of Holden’s private security detail, public relations personnel, etc. and seek grant funding to address our infrastructure needs. We are spending untold dollars that are buried in the budget only for true researchers to dig up. We want our city-parish government officials to spend our tax dollars wisely, to budget them effectively, and to realize that while we are making these changes to our own pocketbooks, they need to do the same. Is that too much to ask of our public servants? I think not. 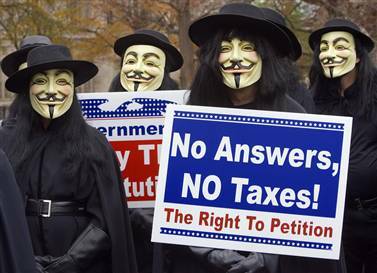 Treat our tax dollars as if they were your own money. Pretty simple approach. Mayor Kip Holden has presented a $989 million proposed tax increase for the citizens of EBR Parish. The tax would last for 30 years. Part of Holden’s tax plan includes building a new prison. The Mayor refused to seperate the plan into components so voters could consider each improvement on its own merit. So are we ready to pay for a new prison in the Red Stick? The new EBR Parish prison will cost taxpayers $135 million out of the new tax plan, providing 2,280 beds for inmates. Sheriff Sid Gautreaux said, “a new prison is needed to ensure that criminals do not walk the streets”. I beg to differ. Building a prison won’t keep criminals off our streets. The problem is much bigger than housing. Sheriff Sid Gautreaux said “1,700 prisoners are behind bars in a facility meant to hold 1,594” in a Baton Rouge Business Report interview. Gautreaux also said that the new facility of 2,280 beds is “more than enough space to meet projected needs of 2,135 by the year 2025.” These figures make no sense to me. 1,700 inmates plus 339 inmates currently housed outside the parish adds up to 2,039. Are we to believe there will only be 241 additional inmates to house over the next 17 years? That’s only 14 new prisoners annually. This is part of the problem with a 30 year tax proposal. By the time we get a few years behind us, we are already working in a deficit. Statistics can be made to sound good, but when you take the magnifying glass and take a closer look – well, not such a rosy picture is presented. The bottom line is that we need to determine if building a new prison is a priority for the taxpayers. This is just one component of a multi-faceted tax plan that Mayor Kip Holden wants you and your children to pay for the next 30 years. 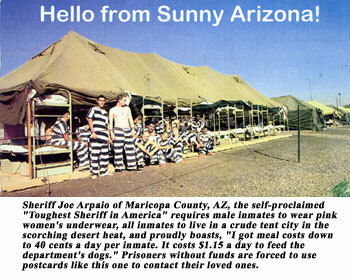 Sheriff Sid Gautreaux would do well to study Sheriff Joe Arpaio in Phoenix who did not ask for a tax increase to build additional prisons until he created a tent city and showed that he could control spending and do away with the luxuries of prison life. Let’s get rid of the color televisions and weight rooms and spend tax dollars on basics before we start paying more taxes for a new prison. In 2000, the taxpayers voted down a tax proposal to renovate the prison with a 60% vote against the tax, and with only 10% showing up at the polls. Fast forward 8 years to today. We have spent an average of $7.7 million annually on the prison. Sorry, but we need to spend money more wisely and on the neighborhood programs and facilities vs. a nicer facility for those who are a threat to society. I say NO to higher taxes to fund a new prison.